Imagine the person you trusted took you and your sister for a walk, tied you to a pole, and walked away. You wanted to run after them, you wanted to scream please dont leave us here, you just wanted to go home - your mom and dad are suppose to protect you and love you forever, instead they shattered your world. Heartbreaking! 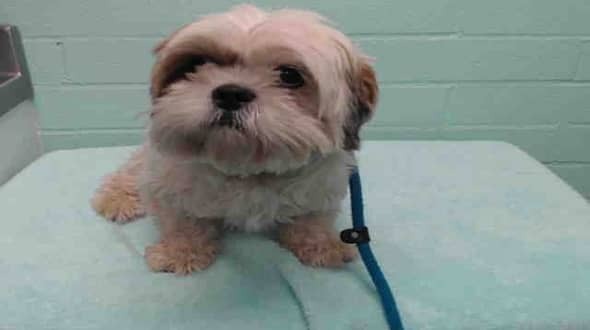 #A5175808 My name is BEAR and I'm an approximately 2 year old male Shih Tzu. I am not yet neutered. I have been at the Carson Animal Care Center since 5/6. I will be available on 5/6. You can visit me at my temporary home at C202. My former family who owned me for about a year had to give me up because But they said that I spend most of my time indoors. I seem to be good with small children. I am housetrained. I am good on a leash. I am just learning obedience skills. I seem to get along well with dogs. Fidonation, if you or someone you know is interested in giving this pup the forever family he rightfully deserves, please contact the Carson Shelter - 310-523-9566, and reference the shelter ID #A5175808. 1 Response to "Mom and dad broke my heart, brought me to the shelter to die - but i still love them with all the pieces"